Leon Miles – an absolute giant at the back. 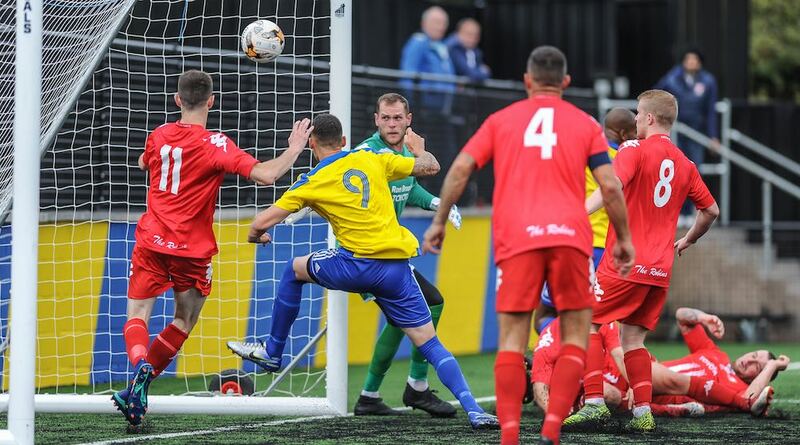 Having checked, there is no entry in the Guinness Book of World Records for ‘most headers won during a game of association football.’ However, if there were, it would now read: ‘Miles, Leon – Sporting Khalsa, 8/9/2018 vs Ilkeston Town, LOTS’. No question about it, Leon Miles was a giant amongst men as Khalsa enjoyed a famous win to beat the league title favourites, who had won seven of their eight games going into this tie. It must have felt to the visitors that his head and the ball were enjoying some sort of supernatural relationship as every cross and long pass appeared to be intercepted with ease. But it feels slightly unfair singling out anyone when there were so many great performances. But let’s pick on a few. 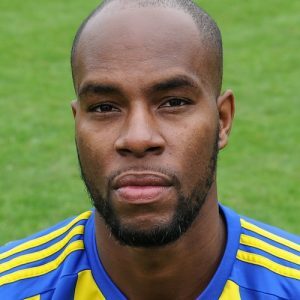 Dan Westwood grabbed the winner, his goal tally starting to ramp up now after a barren start, Rico Taylor was shimmering in the Khalsa midfield and goalkeeper Reece Francis – on loan from Bromsgrove Sporting to cover for the banned Sam Arnold – seemed like he’d always been a Khalsa player. This was a game full of pace, energy and quality between two of the sides who will almost certainly be in the upper reaches of the Midland Football League come what May. There were chances at both ends and Liam Mitchell in the Ilkeston goal was a hero for his side on several occasions, denying Miles and substitute Jay Holdcroft to keep the visitors in the game.